The Indian Premier League (IPL) has been the biggest star-studded cricket tournament in the last decade. Big names from the cricket fraternity have already increased the favouritism of this competition while on the other hand, stars from Bollywood have added glamour to this biggest T20 cricket league. 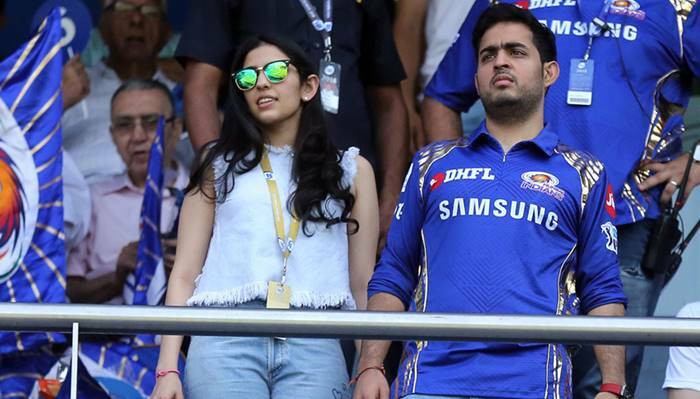 A day after Anushka Sharma’s presence ruled over Bengaluru’s Chinnaswamy Stadium, Wankhede was left awestruck when the local crowd saw Mumbai Indian owner Nita Ambani’s to be daughter-in-law, Shloka Mehta. 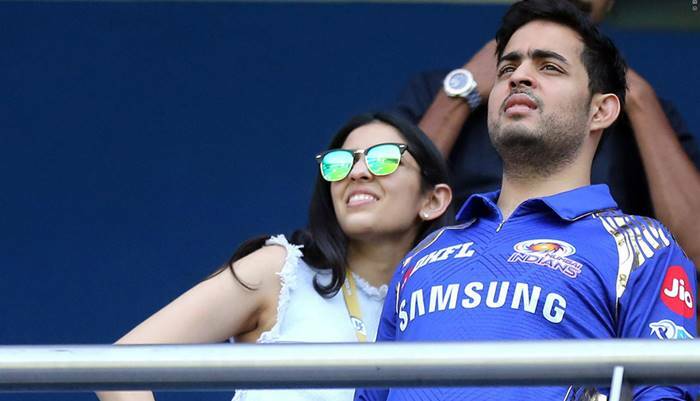 During match number 9 between the MI and Delhi Daredevils (DD), Akash Ambani and Shloka were spotted in the stands of the Wankhede Stadium cheering for their team. This young couple got recently engaged while the post-engagement party, held at Antilla, was another starry affair. The function was attended by Shah Rukh Khan, Karan Johar, Aishwarya Rai Bachchan, Katrina Kaif, Karan Johar, John Abraham and Rajkumar Hirani among others. Cricketers Zaheer Khan and Harbhajan Singh were also present at the event. 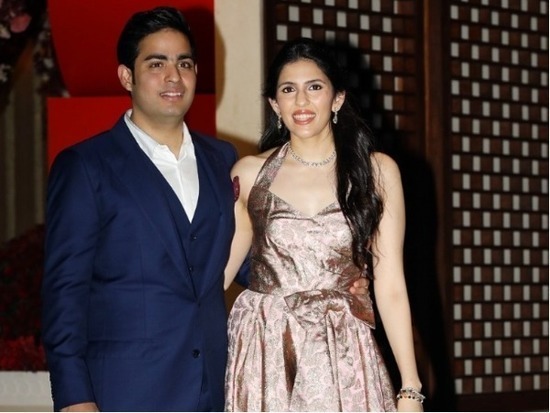 Mukesh and Neeta Ambani’s eldest son, Akash and Shloka, who is the youngest daughter of diamantaire Russel and Mona Mehta, studied together at Mumbai’s Dhirubhai Ambani International School (DAIS) in Mumbai and have been close friends for years. The couple will be tying the knot this December.